Robert, a native of Jackson, Mississippi, with a background in software and development, returned to Atlanta after a series of life changing events that included divorce, unemployment and an estranged family. Like so many others before him, he found his way to Crossroads and the Renewal Project, which helped him regain control of his life. Recently, Robert graduated from Georgia State’s Robinson College of Business, with an MBA in Finance, Real Estate. 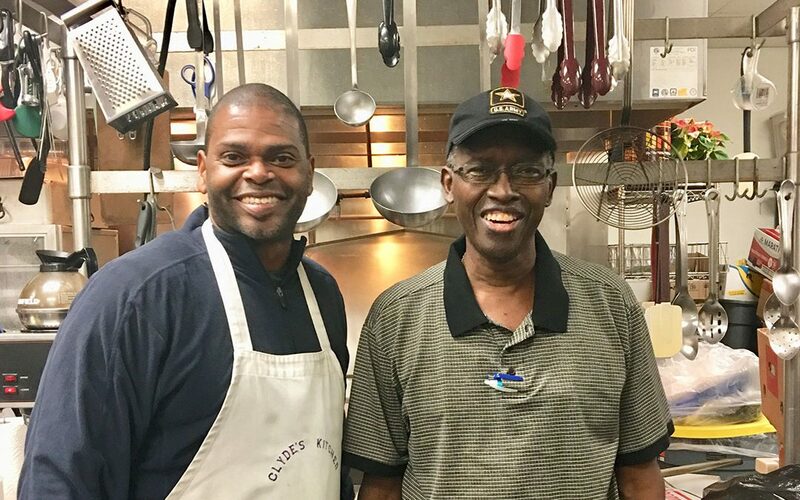 And, for the last 9 months, while pursuing his degree, Robert served as a volunteer in Clyde’s Kitchen, working tirelessly serving the guests five days a week.